Nowadays, monitoring and prediction of air quality parameters are becoming significantly important research topics in the context of increasing urbanization and industrialization. Therefore, efficient modelling of air quality parameters is essential because such an approach would enable to identify the existing and forthcoming implication of air pollution. In recent years, sharp rise in air pollution levels in Indian National Capital Territory of Delhi (NCT-Delhi) has made it the most polluted city of the world. Machine learning approaches are considered as an efficient and cost-effective method to model the air quality parameters and are widely used. However, current methods fail to incorporate long-term dependencies arising due to complex interaction of natural and anthropogenic factors. The present study is mainly aimed at predicting O3, PM2.5, NOx, and CO concentrations at a location in NCT-Delhi using the long short-term memory (LSTM) approach, which is considered as more efficient over other deep learning methods. Factors and parameters such as vehicular emissions, meteorological conditions, traffic data, and pollutant levels are employed in five different combinations. Performance evaluation of LSTM algorithms for hourly concentration prediction is carried out during 2008–2010, and it is found that LSTM models efficiently deal with the complexities and is immensely effective in ambient air quality forecasting. 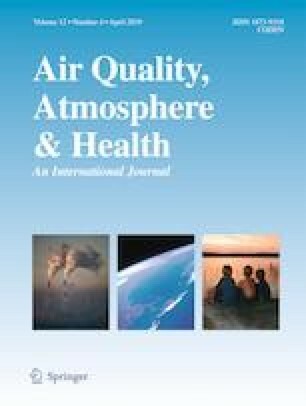 This paper can be considered as a significant motivation for carrying research on urban air pollution using latest LSTMs and helping the government and policymakers a better forecasting methodology for planning measures to curb ill impacts of degrading air quality. We thank the editor and two anonymous reviewers for their insightful and constructive comments to improve the manuscript significantly.